Global private equity major Kohlberg Kravis Roberts & Co LP (KKR) along with Mumbai-headquartered Radiant will buy 49.70 per cent stake in Max Healthcare from South Africa-based Life Healthcare Group Holdings for about Rs 2,120 crore. 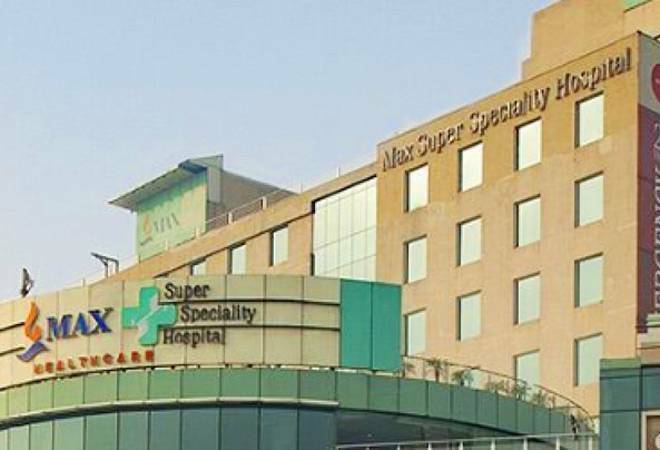 Global private equity major Kohlberg Kravis Roberts & Co LP (KKR) along with Mumbai-headquartered Radiant will buy 49.70 per cent stake in Max Healthcare from South Africa-based Life Healthcare Group Holdings for about Rs 2,120 crore, Max India said on Wednesday. Life Healthcare Group Holdings is equal joint venture partner in Max Healthcare Institute Limited along with Max India. KKR-Radiant will buy more than 266 million shares in Max Healthcare at Rs 80 per share. The deal is expected to be finalised by December 2018. Max India Limited is part of $3 billion Max Group and the holding company for Max Healthcare, Max Bupa Health Insurance and Antara Senior Living. It runs Max Hospitals, India's third largest hospital chain with a capacity of 2,500 beds at 14 facilities. The promoters, Analjit Singh's family, owns 40.97 per cent of the listed Max India. "The consummation of the proposed transaction is subject to fulfilment of various conditions set out in the intimation given by Life Healthcare to the Johannesburg Stock Exchange," Max India said in a regulatory filing. The exit of Johannesburg-based hospital chain from Max Healthcare will enable the former to focus on its core operations in South Africa, UK, Poland and Western Europe. "The company (Life Healthcare) will initially utilise the net proceeds (less estimated costs and taxes) from the disposal to settle debt as well as to invest in growth opportunities in the company's core markets," said the filing which also contains the intimation by Life Healthcare to the Johannesburg Stock Exchange. Life Healthcare acquired an initial stake of 26 per cent in Max Healthcare in 2012 and subsequently increased its stake to 46.25 per cent in 2014. Following the acquisition of half of the International Finance Corporation's (IFC) shares in 2017, Life Healthcare increased its stake in Max Healthcare to 49.7 per cent. IFC is the private-sector investment arm of the World Bank. KKR-backed Radiant had made an unsuccessful bid to buy out cash-strapped Fortis Hospital. Fortis was later bought over by Malaysia-based IHH. Radiant's runs Delhi-based BLK Super Speciality Hospital and the Nanavati Super Speciality Hospital in Mumbai. In 2016, KKR had acquired 9.95 per cent stake in Max Financial Services for an undisclosed amount. Max Financial Services Limited is the holding company for Max Life, India's largest non-bank, private life insurer. Earlier this year, KKR had backed Analjit Singh, chairman emeritus of Max group, with a flexible partnership capital of around Rs 2,000 crore.